Millions of people dropped to the ground and crouched under their desks Thursday as part of the world's largest earthquake drill. The "Great ShakeOut," an annual earthquake drill that started in Southern California, took place at 10:19 a.m. local time around the world. About 21 million people practiced what to do if a quake strikes, with more than 10.2 million of them in California — which experts say is likely to experience a massive quake in the next several decades. "The Bay Area sits right in the boundary zone between the Pacific plate and the North American plate. They're sliding past each other at about 40 millimeters a year, a little less than 2 inches," said David Schwartz, a geologist with the United States Geological Survey, or USGS. 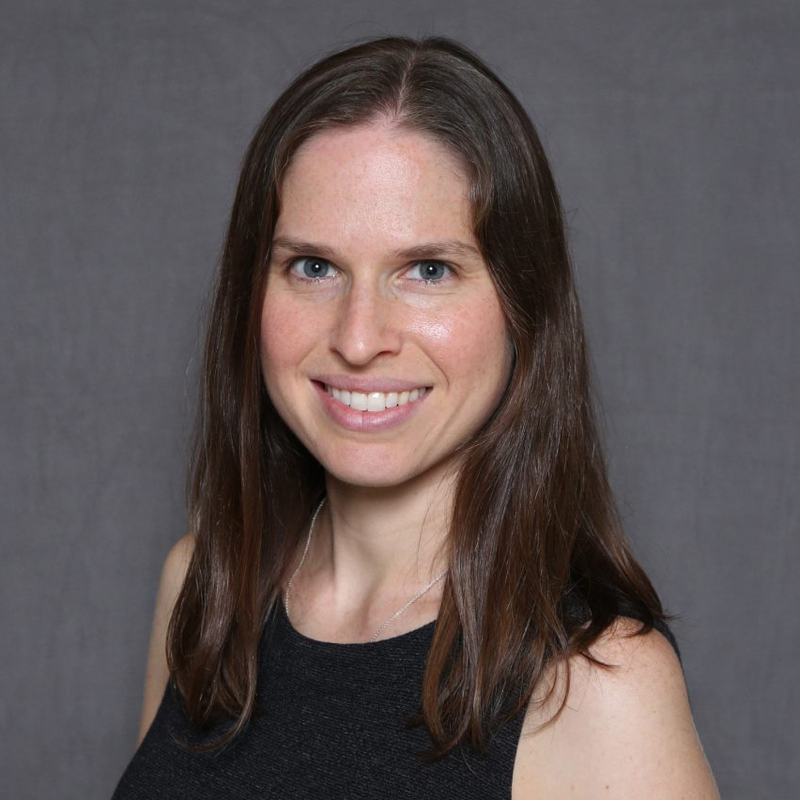 "Doesn't sound like a lot, but over the years, that builds up to a lot of stress and motion." A 2014 study led by the USGS found that by the 2043, the probability of Southern California's experiencing one or more magnitude-6.7 or larger earthquakes was 72 percent. "That's a pretty high number," Schwartz said. "The biggest concern is the Hayward fault, because it sits geographically in the center of the [San Francisco] Bay Area. It's the most densely populated. There are 2 million people directly on top of it. When it has an earthquake, it will affect the 8 million people or so living in the greater Bay Area." The area has been through its share of significant temblors in the past, including the Great 1906 San Francisco earthquake along the San Andreas fault, a 7.8-magnitude earthquake that killed more than 7,500 people. In 1868, a quake estimated at 6.3 to 6.7 rocked the Hayward fault, nearly obliterating buildings and infrastructure in what was, at the time, a sparsely populated Bay Area. 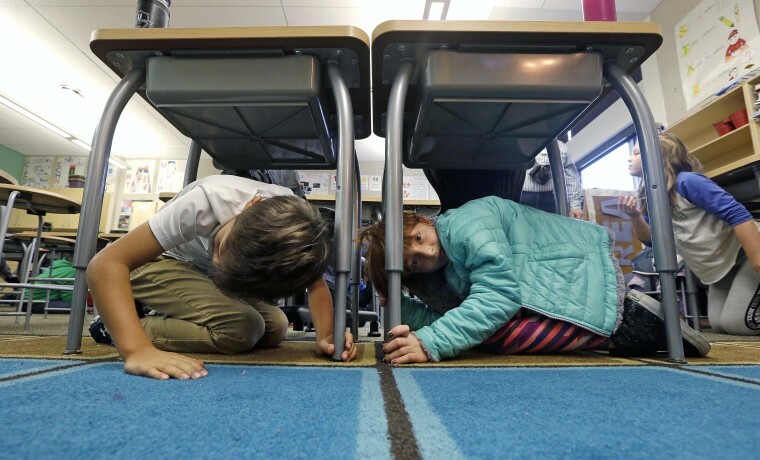 Photos and videos on social media from the Bay Area and elsewhere showed ShakeOut participants crammed underneath their desks as part of the exercise on Thursday. "What did you do at 10:19 am today? Good job Graham 6th graders during our #Shakeout earthquake drill “Drop,Cover & Hold On!” tweeted Graham elementary school in Newark, California, with a video of kids under their desks. The drill was created by the Southern California Earthquake Center in collaboration with the USGS and other partners in 2008 based on a magnitude-7.8 scenario earthquake on the San Andreas fault in Southern California. Other states and countries have since joined in on the drill, which takes place in schools, colleges, federal and local agencies, and private businesses. Participants take at least a minute to practice their earthquake survival skills. But the Southern California Earthquake Center encourages them to rehearse for even longer. "We know that in the shakeout scenario with a 7.8 earthquake, up to four minutes of shaking could be felt," said Jason Ballmann, a spokesman for the Southern California Earthquake Center. Earthquake drills happen year-round, but the Great ShakeOut is the biggest one. In Mexico, which suffered three devastating and deadly earthquakes last month, buildings in Mexico City had held earthquake drills just hours before the Sept. 19 quake hit. "A drill at 11 a.m. and an earthquake at 1 p.m.," Valerie Perez, 23, a student, said at the time. "This is the most powerful thing I have ever seen in my life." The Great ShakeOut teaches participants to "drop, cover, and hold on" — meaning get on the ground, cover your head with one arm and hold onto a stable object like a desk or sturdy table, if one is nearby. "What we're really trying to do with ShakeOut is instill a new instinct, which is to drop down." Research has shown that staying stationary is almost always safer than running, even if it goes against your natural inclination to flee, said Lori Dengler, an emeritus professor of geology at Humboldt State University in Northern California. "What we're really trying to do with ShakeOut is instill a new instinct, which is to drop down. And once you've dropped down, wherever you are, you can't run. So that anchors you in one place and then, if you can, slide under a desk or a table, that's great," she said. Dengler said she encourages anyone experiencing an earthquake to count while the shaking is happening. "Counting does two really important things in an earthquake. First, it actually helps calm you down," she said. "The second reason, if you live on the coast in a tsunami zone, the length of an earthquake is your indication of how large the magnitude is. ... Once you get over a count of about 30 [seconds], that's Mother Nature telling you that this earthquake could be big enough to produce a tsunami." She pointed out that not just California was susceptible to earthquakes. "There's not a single part of the United States that can't have an earthquake," she said. "We're all at risk. The real important thing about ShakeOut is developing the muscle memory to do the right thing when the ground is shaking, and the right thing is to basically not move."